This year, TRAVIS TOURISM celebrates 15 years of high-class business travel in Romania. 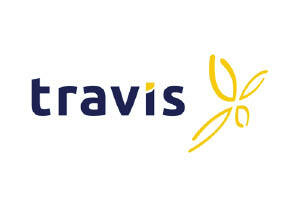 In 2002, the brand “Travis” was launched to provide “professional travel services”. In 2010, to be closer to our customers and partners, we opened a branch in Bucharest, almost exclusively dedicated to corporate activity. In 2015 we joined the global alliance ATG – All-Stars Travel Group to serve large multinational companies better. Currently, the TRAVIS team includes consultants specialised in ticketing, hotel reservations, car rental, event management and vacations. TRAVIS has three divisions: Travis Corporate & Events, Travis Rent a Car and Travis Tourism. For offering professional ticketing services, our agents are always trained to provide the ideal solution for corporate flights: an extensive offer, special rates, prompt responses and detailed information. 24/7 availability for emergencies is our mark. The account manager or sales support assure the assistance. Corporate hotel reservations are based on direct contracts with hotels. The professional reservation systems allow us to get preferential corporate rates or advantageous offers for individual or group accommodation to professional events (conferences, trade fairs or team buildings). Our car rental services – tailored to match corporate standards – are based on a wide range of cars, minibuses and coaches. Our professional drivers with experience in corporate services are available for occasional, medium and long-term car rental for companies, car transfers on any route, driver-guided tours and coach rental. Travis strength: we guarantee the type of offered car. We are trained to offer complete travel solutions for congresses, conferences, festivals, workshops, fairs, exhibitions, training, missions, exchanges, study tours, themed events. Also, an organisation of incentive and team building programs is trending in our area of interest. We are 100% dedicated to this project, we work together every day, and we always treat our customers and business partners with respect.